The fire at cloth showroom in New Delhi's Uttam Nagar broke out during Friday morning. Fire breaks out at clothes showroom in Delhi. New Delhi: A major fire broke out at a cloth showroom in the national capital during wee hours on Friday. The incident was reported from Uttam Nagar. At least 25 fire tenders are present at the spot, ANI reported. There were no reports of injuries or casualties till the time of filing this report. The cause of fire is said to be a short-circuit. However, the exact reason has not been ascertained as of yet. 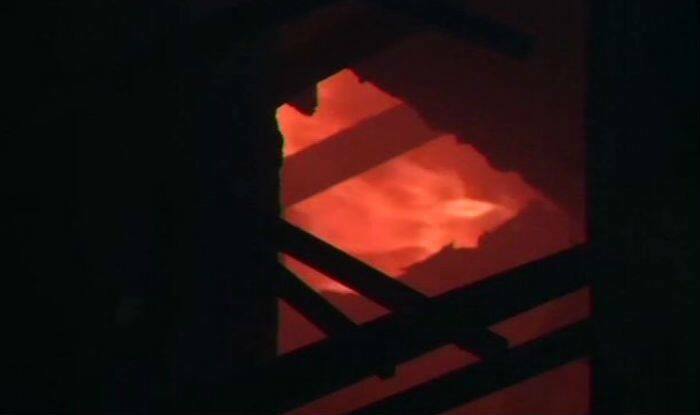 The incident comes a few days after a massive fire broke out at a plastic factory in Delhi’s Narela Industrial Area on April 7. At least 22 fire engines were pressed into service to douse the flames. Earlier last month, a major blaze engulfed a building that houses several important government offices in central Delhi. A security personnel lost his life in the incident. In a similar incident on March 26, two minors were charred to death after a fire broke out in a furniture shop at Shaheen Bagh’s Abu Fazal Enclave in southeast Delhi. A six-year-old boy and seven-year-old girl died in the blaze, police had said. Meanwhile in February, the Arpit Palace Hotel in Karol Bagh area of Delhi was engulfed in a massive fire. Seventeen people, including two people who jumped off the building in a desperate bid to save themselves, were killed in the incident. Delhi Chief Minister Arvind Kejriwal had announced an ex-gratia of Rs 5 lakh each to the kin of the deceased.